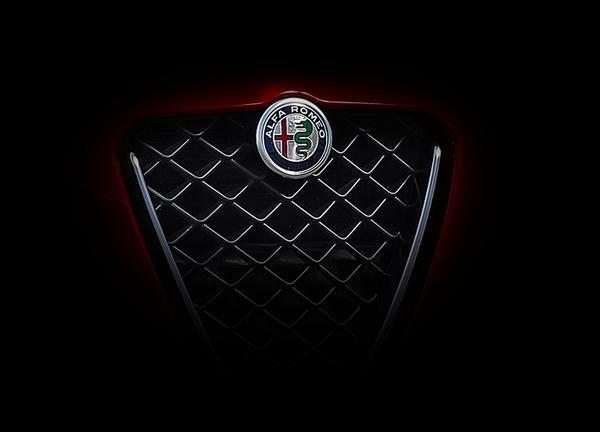 Genuine Alfa Romeo MiTo RHD Black Mats with Red Stitching. 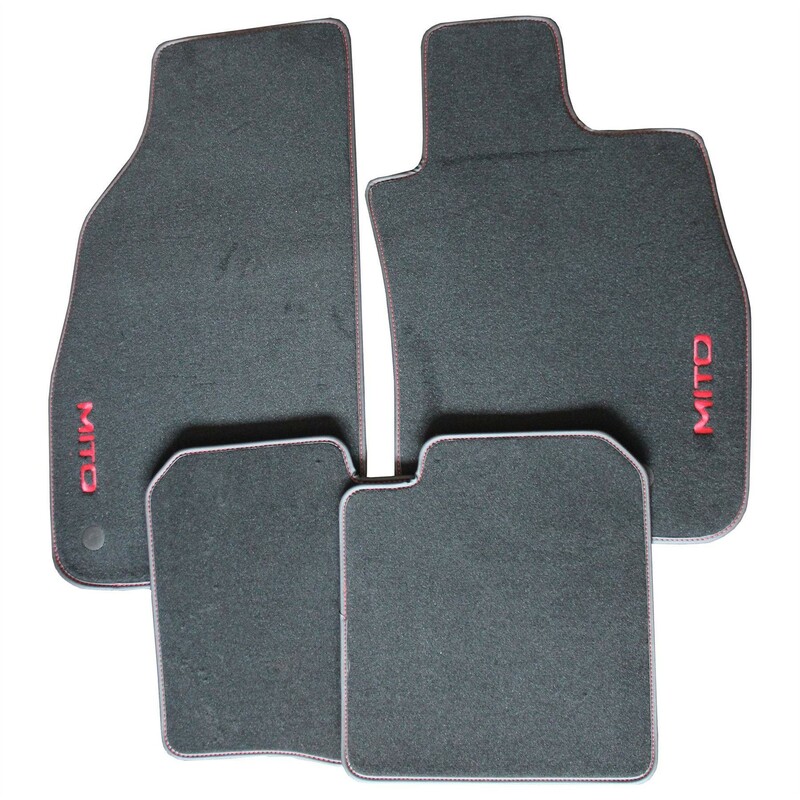 Tailor made hight quality Carpet Mats for your MiTo. 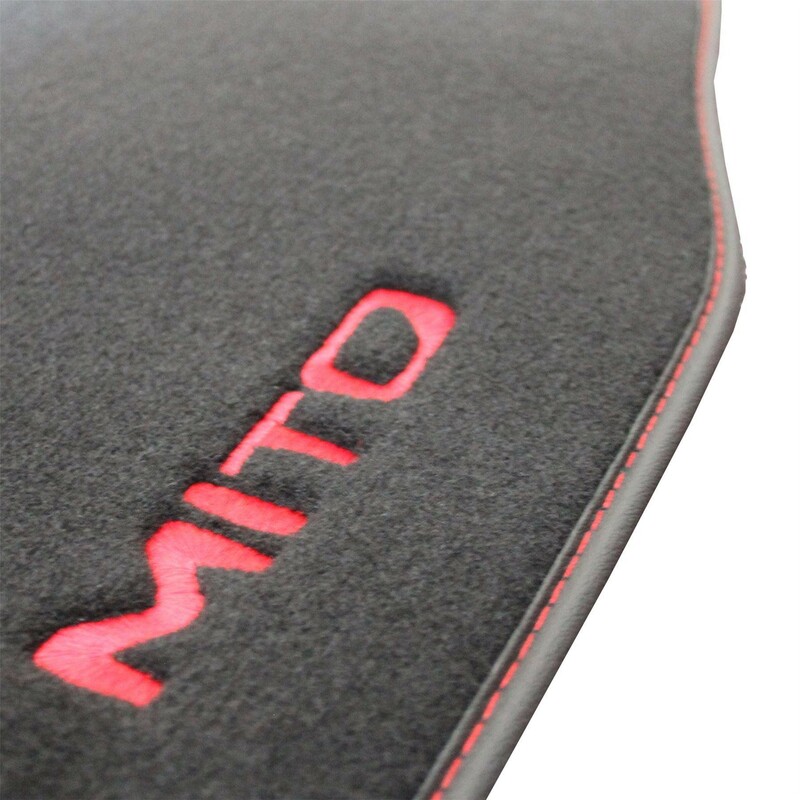 Mats come with red embroidered MITO naming and stiching on driver and passenger side.